*Amazon affiliate links have been included in this post. Those that know me even somewhat well know that I am extremely busy. Besides working full time as a speech pathologist, I have an online business and am pursuing a doctorate degree. I have two teen children and a disabled husband who needs extra support. I have no choice but to leave work at work and home at home. I NEED organization just to stay sane. My organization system is not a secret. I have a course about how to stay organized at home while maintaining a full-time job; I have been interviewed @SLPHappyHour. I’ve also contributed a set of ideas for my sister’s upcoming book. Now I want to share these home organization tips with you. Routines are crucial not only that they make you more productive, but also that they make it easier to get MORE done with less brain power. List these routines and then follow them exactly every single day until you no longer need the list. Do not vary from this list unless you make a conscious decision to change things up, and in that case, create a new list! Morning routines set the tone for your day. They provide you with both a time to breathe and a time to plan. My morning routine includes time with my Bible, drinking coffee, writing my calendar for the day, and creating a to-do list. I am not whole without my morning routine. In fact, when I neglect this task on vacation or when sick, I feel like something important in my life is lacking. In the same way, after-work routines set the tone for the evening. It is important to put everything back where it belongs, work on dinner preparations, and get at least one thing on your to-do list completed. Bedtime routines make you ready for both sleep and for the next morning. These could include setting up the coffee pot, laying out your clothes, and having a cup of tea. Begin by typing up 4 weeks of meal plans. And then accept the fact that these will be the only 20-28 meals you eat for the next year (exceptions can be made, of course). Choose super easy and enjoyable foods. You get bonus points if they are crockpot or Instapot meals (I use my Instapot as a crockpot to decrease the number of appliances in my kitchen). After creating these weekly meal plans, type all of the needed ingredients on a shopping list. Also include things that you will need for generic breakfasts and lunches (such as milk, coffee, yogurt, fruit). Print out these grocery lists. These are your new best friends and will come with you to the store each week. The best discovery that I have made recently is the (affiliate link) Healthy Meal Planning Bundle. This amazing resource combines over 1000 recipes (including Instapot and Crock Pot – my fav for work nights!) and ecourses! I love how it combines great recipes with shopping lists and meal plans. WIN! To keep the home in check, I assign a cleaning day each week. For me, it is Sunday. On this day I clean the bathrooms, kitchen, etc. My kids help with vacuuming and mopping. During vacations and breaks, I assign myself a “purge” room. This summer that was the kitchen and garage. I took every single item from its shelf; cleaned the shelves; and assessed whether I still used the item. The ones that are no longer in use got tossed or given away. The fewer items that I have, the less clutter there is to deal with. I also apply this philosophy to new purchases. For every new thing into my home, I try to give away one older item (it doesn’t always work, but I try). Papers and digital mess are the hidden mess that some of us forget even exists. However, when you desperately need those tax forms, that receipt, the birth certificate, you will wish you had organized. I organize my digital clutter weekly (budgeting and finances) and monthly (photographs). Annually, I go through all of my paperwork and shred everything that I don’t need for taxes. One day my children will be so glad that they don’t need to sift through this digital mess that we all leave behind. 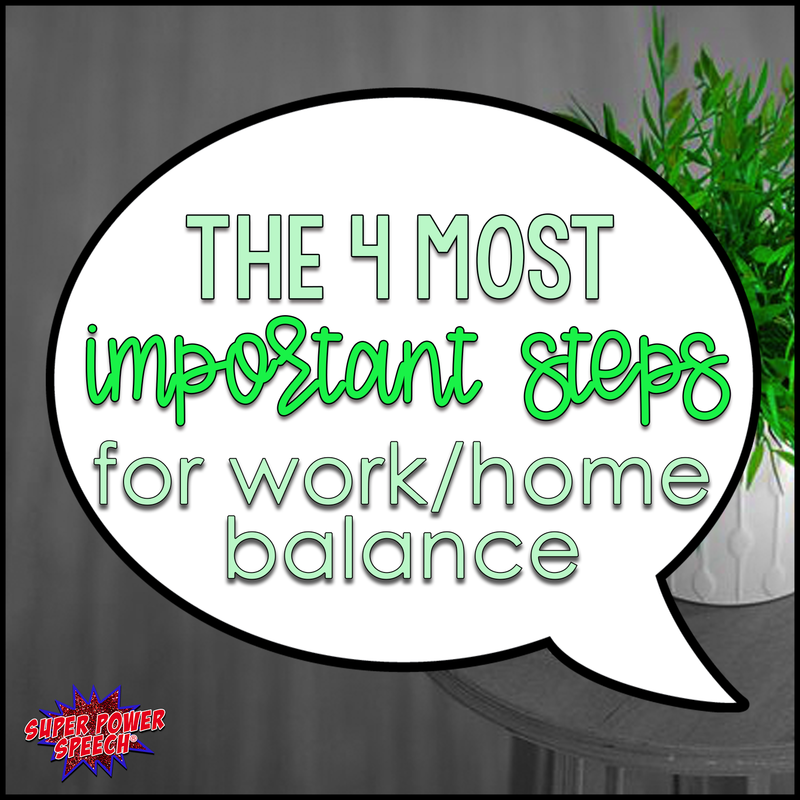 Although there are hundreds of little things you can do to get more organized, I have found these four to make the biggest difference in my life. If you are able to implement even ONE of these, you will begin to see a tremendous difference in your daily organization, not to mention sanity level! If you are like most people, however, knowing where to begin is a challenge. That is exactly why I created the course “Productivity and Organization for Women” (POW). This online course brings order and reason to the constant juggle of work and home. Let me help you get started on your newly organized and productive home life! Guess what? The price for Productivity and Organization has just been lowered! For a limited time, you can purchase this course (worth $250) for a tiny fraction of its original price! Don’t delay! Enroll now and get started on your new organized life! I signed up and took this class several years ago. Can I still access the new information? I forgot my password. I loved your class! You amaze me with all that you accomplish and do! Congratulations on your new endeavor of school! You really are a super power!